Facebook is social media king right now, and that means only one thing for your business –great text marketing potential. If you’re not already involved in some sort of text marketing, you’re really behind and need to get a jump on things. It is the easiest, most effective way of marketing to people who really want what you have to offer to them, rather than waste time marketing to those who do not. So back on track, once you have that text marketing plan in place, if you don’t already, you want to head straight to Facebook and do not pass go. Here you will be able to not only build a great text marketing list but also build your brand and start a great relationship with your customers. 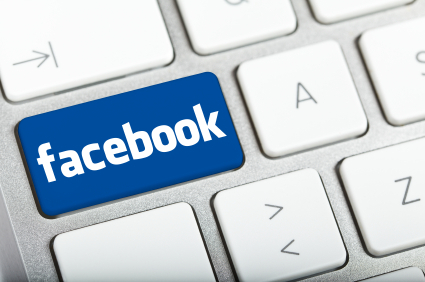 There are numerous ways in which Facebook can be used to help build your marketing list. Let’s take a look at 5 of the best ways. It is easy to add this app to your page and when you do those who visit you in Facebook can quickly learn of your text marketing program and sign their name up for opt-in. it is quick and easy and if you make the offer attention-grabbing it will certainly get the eyes that you want. What could be better than running a contest via Facebook? You’ll gain free advertising space and since people can like and share with their friends and so on and so forth, your contest could gain a lot of attention and help quickly build your list. Make the contest exciting, and consider adding instant prizes and games or a 1st, 2nd and 3rd place winner. Make the prize worth the time and add other cool extras to make the contest even more exciting. A lot of people come to Facebook simply to play the games. If you put in your own quirky version of a fun game, the people will come. Use your creativeness on this one, and use your skills, too. Add sign-up for your text marketing list could earn free coins, level boosts or something else. Think outside of the box! Facebook ads have only been around for a few short months, but they seem to be catching on. You can set your own budget, which is really cool, and since it is so versatile you can use it to promote your text message marketing list and more, if you choose. Furthermore there are a couple of options for the Facebook ads so everyone gets just what they want, nothing more, nothing less. And, you’ll never be spending a penny more than what you want. This is another excellent way to spread the word quickly. So we’ve been bribed since we were kids, and what we know is that it works. Why not throw a few bribes out there to get more attention to your business? You can offer a freebie, a sample or something else for nothing and see how fast the customers come running your way. Giving a freebie is highly beneficial and will more than pay for itself. Sometimes it is about quantity. One of those times is when it comes to your text marketing list. Being able to reach 1,000 mobile phones is far better than reaching only 100 devices, so use each of the methods above and everyone’s favorite social networking site to set new heights within your business. Combine that with quality offers and everyone wins.